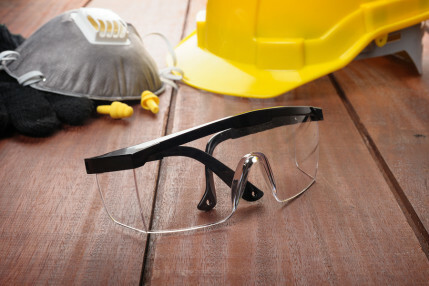 Do you know when you or your employees need to wear high-visibility gear? Do you know what level of protection is needed? Are you in compliance with current regulations? On November 24, 2008, a new federal regulation, 23CFR634, went into effect mandating that anyone working in the right-of-way of a federal-aid highway must wear high-visibility clothing. either to traffic (vehicles using the highway for purposes of travel) or to construction equipment within the work area shall wear high-visibility safety apparel." But who are workers? According to Part 634 - "Workers means people on foot whose duties place them within the right-of-way of a Federal-aid highway, such as highway construction and maintenance forces; survey crews; utility crews; responders to incidents within the highway right-of-way; firefighters and other emergency responders when they are not directly exposed to flame, fire, heat, and/or hazardous materials; and law enforcement personnel when directing traffic, investigating crashes, and handling lane closures, obstructed roadways, and disasters within the right-of-way of a Federal-aid highway." Speed and volume of traffic through workzone. Time of day - there is less visibility at night. Workzone activity - are there lots of construction vehicles and all kinds of work being done? Type of activity worker is performing - Is worker focused on task at hand or watching oncoming traffic? Proximity to traffic and other construction vehicles. High Visibility Classes What do they Mean? 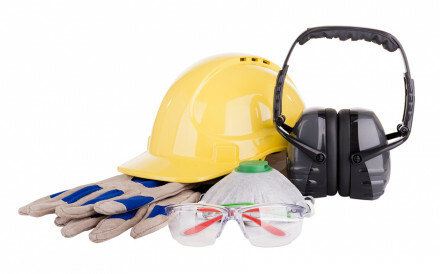 High Visibility Clothing must meet ANSI (American National Standards Institute) standards and comes in 3 types- class 1, class 2 or class 3 garments. Class 1 provides the least level of visibility and class 3 provides the greatest amount of fluorescent and reflective material. Anyone with a high task load and works close to moving equipment or traffic at high speeds. "Cluttered" work zones with high levels of activity. Workers with no separation between them and traffic. This might include: roadway construction personnel, utility workers, survey crews and emergency response personnel. Flaggers (mandatory that flaggers wear class 2 garments; class 3 is suggested for night time flagging). When more visibility is needed due to bad weather. When the workzone is complex and cluttered. This might include: Forestry operations, ship cargo loading operations, roadway construction personnel, utility workers, survey crews and school crossing guards in traffic, delivery drivers, high-volume parking and/or toll gate personnel, emergency response personnel, law enforcement personnel, trash collection and recycling and accident site investigators. NOTE: Class 1 garments cannot be worn to comply with 23CFR634. Worker's attention is fully on oncoming traffic. Where there is separation between the worker and traffic. This might include: parking lot attendants, people retrieving shopping carts and some delivery drivers. 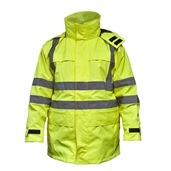 Policemen and firefighters are required to wear high visibility clothing in certain situations. Policemen are not required to wear high visibility clothing in "adversarial or confrontational" roles. This gives them the ability to protect themselves (for example, by pulling a weapon) during traffic stops and searches. However, police officers must wear high visibility clothing when directing traffic, investigating crashes and handling lane closures. Firefighters failed to ask for any exemptions prior to the November effective date. Afterwards, they became concerned that if they wore high visibility clothing over their turnouts this might put them at added risk during a fire. Effective July 15, 2009, firefighters are exempt from wearing high-visibility apparel when exposed to hazardous conditions where the use of such apparel may increase the risk of injury to the firefighter. Whether you're a firefighter, a police officer, a construction worker, a surveyor or crossing school guard, wear high visibility apparel so you are able to be seen by road traffic. Don't be one of the 100 workers killed in a work zone every year!